No frills, just a hand-carved, fully graduated spruce top and a hand-carved maple back for optimal tone. 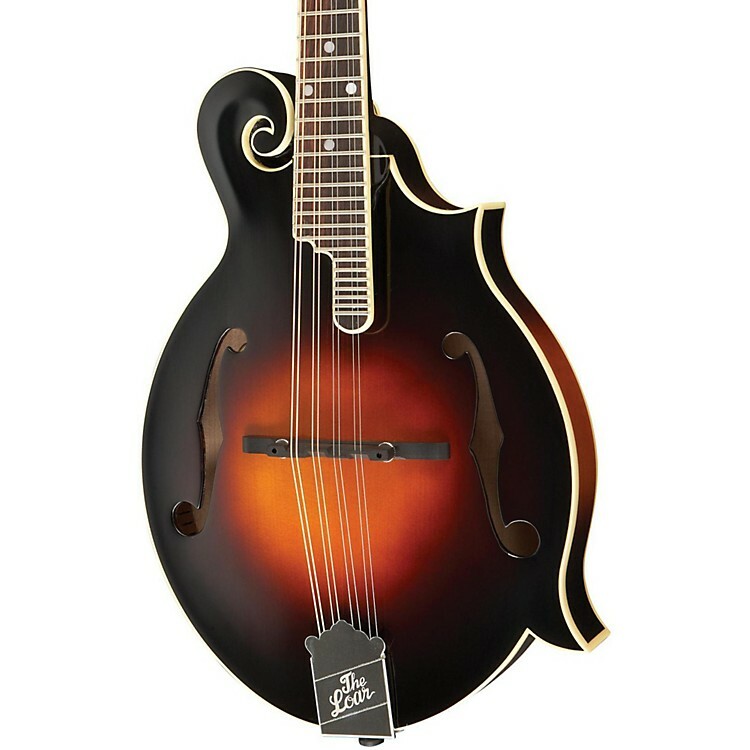 The hand-carved LM-520 F-model mandolin is the response to players' requests for a value priced mandolin with more stripped down appointments yet a similar sound to the best-selling Loar LM-600 mandolin. The 520 is carefully assembled in the same hand-carved workshop that gave birth to the LM-400 and 700, and have similar hand-carved, fully graduated spruce tops. The solid maple back of each instrument is also hand carved, and the solid maple sides complete the package. The maple neck has a comfortable rounded V profile finished with a rosewood fretboard. The compensated adjustable ebony bridge and high quality vintage-style Grover tuning machines insure that these mandolins have great intonation and stay in tune no matter how hard they are played. Perfect for players who want a high-quality, great-sounding hand-carved mandolin but don't need all of the bells and whistles, these minimally appointed instruments deliver the high-end tone, chop and projection the music community has come to expect from The Loar. Case sold separately. Nut, Width: Bone, 1-1/8 in.